northwest England, Alton Towers really needs no introduction at all. 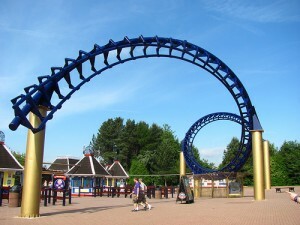 As the number one theme park in the UK, Alton Towers won Britain’s Best Theme Park Award in 2011 and many other accolades throughout the year. If an adrenaline rush is what you’re after, this is the place to visit! Alton Towers has a huge selection of thrilling rides to experience. Whether you’re young or old, there’s a ride you’ll enjoy! Some of the best rides include the newer ‘Thirteen’ and ‘Air’, which takes passengers to the limit of excitement, but the older rides are still as scary as they ever were. Alton Towers is not just a theme park. They also have an amazing water park with some ‘splashtastic’ features. Enjoy water slides, relaxing pools, and even an interactive water tree-house! 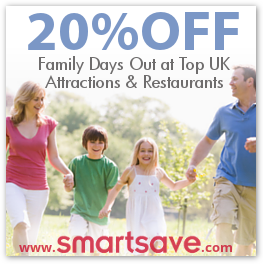 There’s just so much to see and do at Alton Towers and if you find that a day just isn’t long enough to see everything, visitors can also book into the Alton Towers Hotel and make the adrenaline of a day trip last for an entire holiday! Times: Summer, see attraction for specific details.